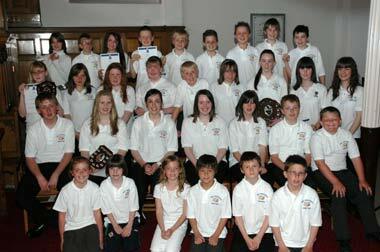 The junior band held it's annual concert and prize giving on Saturday 9th June 2007. A great performance was given to an ever increasing band to an audience consisting of proud parents, relatives, tutors and senior band members. Congratulations to all involved with the concert, particularly the performers. We look forward to watching the progress of the junior band over the coming months and their integration with the senior band in the years to come. Well done to all.